When you need a quick, healthy and delicious breakfast or snack, easy smoothie recipes are always a great option. 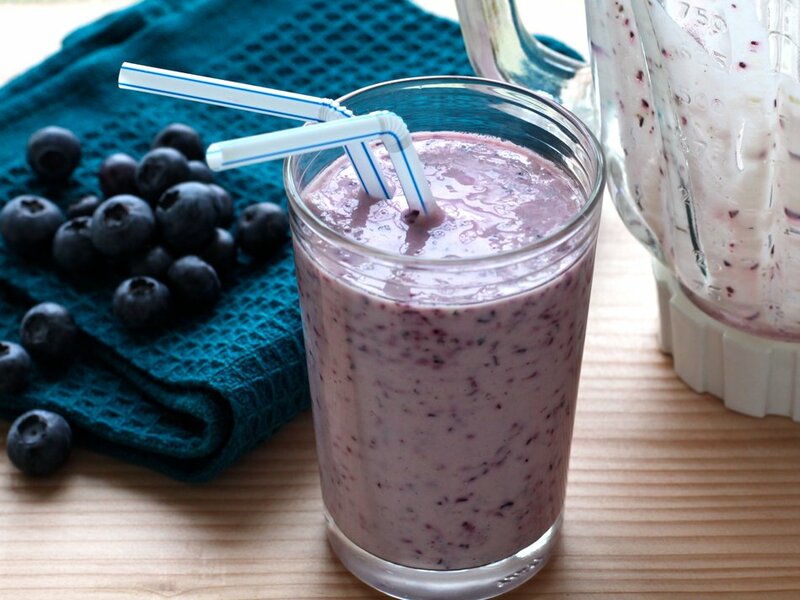 Cabot's Greek Yogurt makes a healthy protein-rich treat when blended with fresh fruits in smoothie recipes, like this refreshing Blueberry Smoothie. We love to use our Lowfat Vanilla Bean Greek Yogurt, because vanilla is a lovely complement to the fruits and seems to make their flavors bloom. But feel free to use Plain Greek Yogurt as well (if you’d like, add ½ teaspoon vanilla extract and 2 teaspoons of sugar). Kids and adults enjoy this smoothie, making it a convenient family-friendly recipe. Share it with your family and friends on Facebook, Pinterest, Instagram, and Twitter. To make 1 serving, in a blender, combine ½ cup Cabot 2% Vanilla Bean Greek Yogurt, ½ cup fresh blueberries, ¼ cup lowfat (1%) milk, 2 tablespoons frozen limeade concentrate (not thawed) and, if desired, 1 tablespoon of honey. Blend all ingredients until smooth. We recommend doubling or tripling this recipe if making for a family - or if you want to have extra to enjoy as a snack later in the day. If you’re a smoothie lover, we know you’ll want even more yummy smoothie recipes. Try our Superhero Apple-Cranberry Smoothie next! As a co-operative of over 1,000 farm families, Cabot is dedicated to creating the highest quality products and recipes that best showcase the fresh flavors of our products. Please share your thoughts on this Blueberry Lime Smoothie recipe after you’ve tried it by rating and reviewing it. I used the Vanilla Bean GS Yogurt and 1/2 fresh lime. I mostly tasted the Vanilla yogurt. Still not a bad tasting something but next time I'm going to up the amount of blueberries (1 cup) and substitute coconut milk (1/2-3/4 cup) for the milk.